Keeping in step with the times, Mattel has unleashed a new range of Fashionistas Barbie and Ken dolls. This 40-strong platoon of dollies come in a range of shapes to reflect modern humanity’s obsession with individuality. You can buy a “slim” Ken, a “broad” Ken or an “original Ken” – “for the ultimate storytelling experience.” You can create whole worlds of narration as Ken bulks up on protein shakes and ‘roids, slims down with tape worms and stays just the way he is. The gang also comes in 11 skintones and 28 hairstyles. 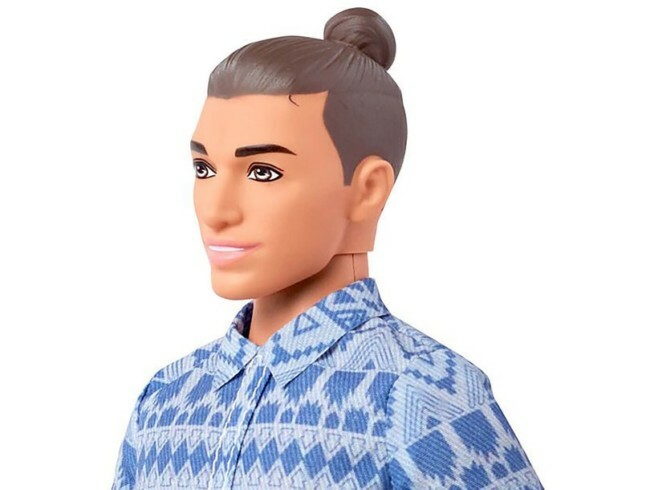 Bu the picks has to be Ken’s Manbun. Ken might not be able to talk, but he sure can issue a loud cry for help. And look of the Cultural Approbation Ken, who sports cornrows.